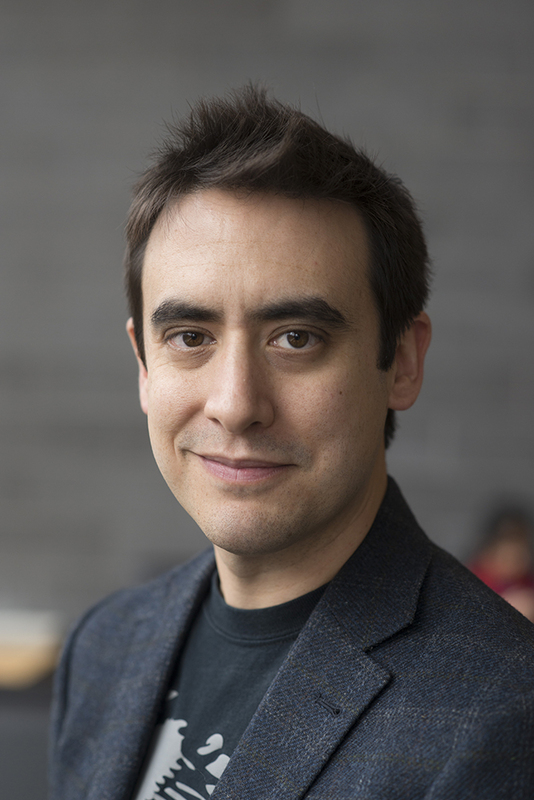 Dr. Andrew Pelling is a Canada Research Chair and Associate Professor in the Departments of Physics and Biology, as well as the Institute for Science, Society, and Policy at the University of Ottawa. Andrew is also the co-founder and CTO of Spiderwort, a company developing open source platforms to enable the widespread and global adoption of biological research in all environments and economic contexts. In addition, Andrew founded pHacktory, which is a a street-level research lab amplifying community ideas through craft, serendipity, and curiosity. Andrew received his B.S. in Biological Chemistry from the University of Toronto and his Ph.D. in Physical Chemistry from the University of California, Los Angeles. Afterwards, he conducted postdoctoral research at the London Centre for Nanotechnology at University College London before joining the faculty at the University of Ottawa. Andrew has been the recipient of various awards and honors over the course of his career, including an NSERC Discovery Accelerator Supplement Award, the Province of Ontario Early Researcher Award, and election as a Member of the Global Young Academy. In 2016, Andrew was named a TED Fellow, and just recently he was named a TED Senior Fellow. Andrew is here with us today to talk about his research and tell us all about his experiences in life and science. Andrew’s life outside of the lab includes a lot of time spent long-distance running. It is a great way to get outside, disconnect, and think deeply about things without any distractions. The Ottawa Marathon is one of his favorite races. Research in Andrew’s lab investigates how organisms and cells behave, and how these living systems can be controlled, modified, and augmented without genetic modifications. Curiosity has been a driving force in Andrew’s life, and he spent a lot of time as a kid pressing buttons to see what happened, taking toys apart, and digging things up in the backyard. Andrew attended a school program in the arts where he engaged in painting, dancing, and singing. While there, he became interested in the natural world, but he also learned how to recover from failures and how to take risks that were important to him. These latter experiences gave him confidence to ask unconventional questions and try new things as he began pursuing science in college. In a science fiction-inspired project, Andrew and his lab attempted to create a plant that shared some attributes with the giant human-eating plant from The Little Shop of Horrors. They attempted to remove all of the plant cells from a leaf, leaving only the cellulose scaffolding. Afterwards, they attempted to insert muscle to see if it would fold the leaf into a mouth shape. The experiments failed miserably. One obstacle was the leaf’s waxy coating. Though they have not yet developed their own carnivorous plant, a student in the lab pivoted the project to use peeled apple pieces instead of leaves. The muscle transplant worked! After a serendipitous conversation with an artist, Andrew’s lab was suddenly submerged in the field of regenerative medicine. They can now apply this unconventional approach of using plants as biomaterial to create prosthetics for fractions of a penny when commercial options cost thousands of dollars. Andrew’s company Spiderwort doesn’t just make innovative biomaterials. They also develop low-cost and open source hardware for biological research. A commercial incubator needed for research can cost $5,000-$10,000, and this is prohibitively expensive for many scientists in a lot of countries. Andrew decided to tackle the task of creating an incubator from what was essentially trash. He was successful in creating the incubator and was able to use it to do sophisticated techniques like growing neurons and differentiating muscle tissues. They open-sourced their invention, and anyone worldwide can now build the incubator themselves for about $350. People have also started requesting kits to build the incubators, so his company is now putting these together. Science is a global profession that can take you around the world. Traveling to Vietnam was a highlight for Andrew. He attended a conference there that brought together top scientists from Vietnam and other countries, and it was a great opportunity to share knowledge between countries that may not normally interact, meet phenomenal scientists from institutions he wasn’t familiar with, and learn about really interesting research from scientists he didn’t know were out there. Scientists like to have fun and celebrate when they get together. Andrew has even had great scientific discussions while sitting in a hot tub with colleagues. Not only do Andrew and his lambastes have fun, but it is also traditional to have open discussions about interesting questions and ideas, no matter how far-fetched and unconventional they may be. This often leads to interesting scientific projects, including a robot they built that sends hugs through Twitter. This invention ended up winning a prize at a hack-a-thon and has had wonderful unanticipated applications, including potentially helping kids with autism. If you need something, ask someone for it. This is especially important for starting successful collaborations and getting the expertise on your team to pursue your research ideas. Also, you have to take risks to achieve things that matter to you. It can be scary, and they don’t always work out, but you’ll be more successful in the long run if you take those risks. Award winning scientist, professor, entrepreneur, TED Fellow and TED speaker, Andrew Pelling has built a career on unapologetic curiosity, creativity and serendipity. Andrew is a Professor and Canada Research Chair at the University of Ottawa, where he founded and directs a curiosity-driven research lab that brings together Artists, Scientists, Social Scientists and Engineers. The lab uses low-cost, open source materials and methods to explore speculative living technologies of the future. He has, for instance, created human body parts made from plants and grown living skins on LEGOs – innovations with the potential to replace prohibitively expensive commercial biomaterials. Andrew is also the co-founder and CTO of Spiderwort Inc, a mission driven company developing open source platforms to enable the widespread and global adoption of biological research in all environments and economic contexts. Most recently, Andrew co-founded and directs pHacktory, a distributed street-level research lab that amplifies community ideas through a potent mixture of craft, serendipity and curiosity. Andrew’s work has been in the international media spotlight for many years, with recognition in outlets such as Wired, The Atlantic, OZY, Huffington Post, NPR, Scientific American, Popular Science, BBC, Der Spiegel, Deutsche Welle and others, as well as numerous highlights in the Canadian media and Scientific media. In 2016, he was named a TED Fellow, one of 21 people chosen annually by the TED organization who are considered to be the most disruptive and transformative change-makers in the world.